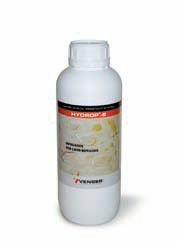 Universal stain, water and oil resistant, waterbased impregnating product for internal and external use. It neither forms a surface film nor permanently modifies the substarte. It doesn’t have a brightening effect. tuff, carparo, plaster, lime stone, etc..
Solvent based product applyable also at temperatures close to 0°C degrees. It acts quickly.